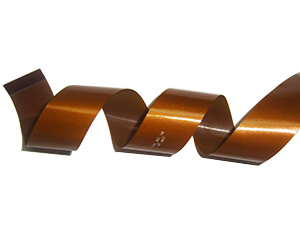 Flexible PCB’s are just what the name implies, a PCB with the ability to be flexed/bent. There are two major design types of flex boards and each of these two designs require different materials for manufacturing and also different manufacturing processes. The first type is the dynamic design. This design is seen in many items like for instance a laptop where a screen needs to be attached to a base that has a hinge, or for joints in a robotic arm. This design is made to be flexed and or bent many many times. Care in manufacturing and material selection is extremely important in this design because this will limit the amount of times the board can flexed/be bent. Two small examples of this are; one, selecting the correct flex material to ensure it uses rolled and annealed copper and two, when the PCB is manufactured the design may not include any type of copper plating in the flexible section of the PCB. These are just a few examples of the many items that are imperative for good reliability of the flexible PCB's. The second type, which is the most common design, is a static flex PCB. This design is very common in items like cell phones where real estate is very limited by design. This design eliminates the use of cables to connect one PCB to another. So in most cases the PCB is bent only once for manufacturing of the item and then stays in the position permanently. There are many ways to manufacture static flex PCB’s and paying good attention to it’s use and expected flexibility is key to manufacturing a dependable product, so good communication is extremely important between the end user and the PCB manufacturer for this design type.